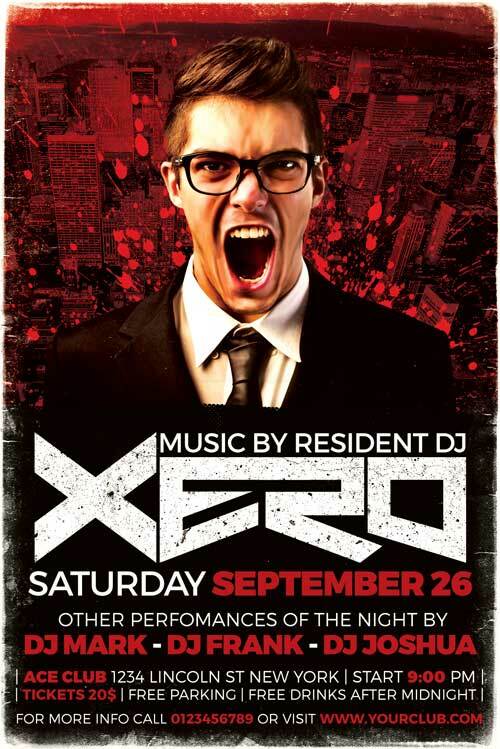 Xero DJ Flyer Template PSD was designed to advertise a dj performance inside a club / pub. Nevertheless the design offers the possibility to write a lot of information : the footer offers a lot of space to write all the info about your event. If you are searching for a fully editable and cool looking design for this kind of event, then this one will be a perfect choice. The grungy frame which surrounds the whole design, the splatter behind the model and the accurate font choice make this design flawless. 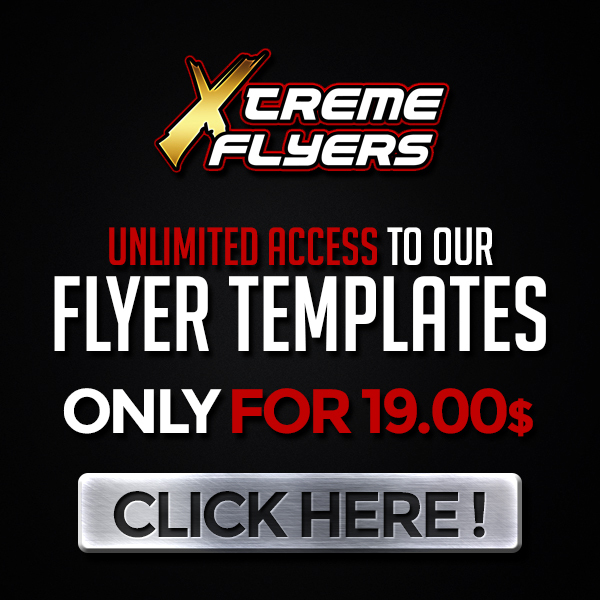 All the elements of this flyer are arranged on separate layers and are included, so that you can rearrange them as you please. NOTE : The model is not included inside the main file ! The image have been used only for demonstration purposes. There is a Smart Object inside the Model folder, so that you can easily replace the original picture.